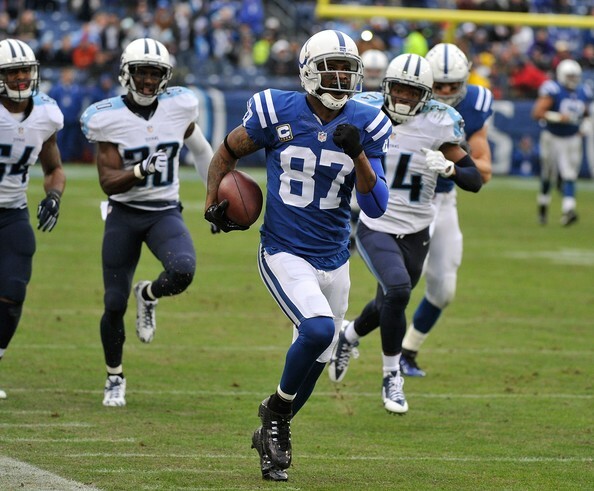 The fact that so many teams, among them the New England Patriots, Green Bay Packers, Houston Texans and Baltimore Ravens, are after free agent Reggie Wayne, isn’t surprising. It’s probably more surprising not to see more teams on this list. Wayne has spent his entire career (14 seasons, 211 games) with the Indianapolis Colts, but after two seasons filled with injuries and his age being a factor as well (will turn 37 in November), the team decided not to pick him up and sign him for another season, which should be his last in the NFL. But Wayne, who underwent an operation in the offseason to take care of an injury, is still a productive player. He caught 64 passes for 779 yards last season, including two touchdown passes. No longer the #1 target in Indianapolis, that’s understood, but as a #2 or #3 wide receiver, coming in for close to zero money? It’s hard to turn down an offer like that. But Wayne also has his demands. A one time Super Bowl champion who has also been on the losing side of the big game, he isn’t looking to play for anyone. Finding himself in a situation to win one more championship before he retires is the ideal destination for him, and although you can never know how a season develops for any team, there are safer bets to put your chips on. It’s also a question of what quarterback is throwing the ball to you. The Patriots and Packers offer Tom Brady and Aaron Rodgers. MVPs, Super Bowl Champions, future hall of famers in different stages of their careers. Both can make him look good, although the depth chart is a little bit different for both teams. The Ravens have Joe Flacco, another Super Bowl champion, although he’s not quite the QB Brady and Rodgers are, but still very good and a great organization to be part of. The Houston Texans are a great organization as well and maybe Wayne can play a bigger role for them offensively. However, that’s not what he should be looking for. The quarterback situation in Houston is a mess, and that offense is probably going to struggle. Unless he wants a bigger role over a shot at a Super Bowl ring, the Texans are probably the worst of the four teams trying to sign him.